Welcome to our three bedroom,three bathroom professionally styled townhome. It is a brand NEW townhome with all the right touches. Contemporary Montana decor with soaring ceilings, post and beam architecture, wooden floors, granite countertops, stone fireplace, and all surrounded by cozy in floor radiant heat. The master bedroom is located in the lower level and has a king bed with a private full bath with a walk in slate tile shower. It also has access to the private hot tub that seats six on the patio. The second bedroom on the lower level has a queen size bed with a full bath next to it. The third bedroom is on the upper level and has two twin beds(trundle) with a full bath across the hall. This unit will comfortably sleep six people. The big all in one living, dining, and kitchen area features soaring ceilings with a spectacular direct view of Lone Mountain, Andesite Mountain, and the Mountain Village. As our guests you will have such amenities as 42 inch hdtv in the living/dining area which includes wii games, dvd, stereo, movie library and Direct TV. The master bedroom has a 32 inch hdtv with Direct TV. Local phone service is available as well as Wi-Fi. We are children friendly which includes essentials such as a pack and play crib, highchair and a baby gate. Sorry, we do not allow smokers and we do not allow pets. Included in your stay is access to the Huntley Lodge which has an outdoor pool, gym facilities, and sauna. The townhome is professionally managed for us by Alpine Property Management. You are a phone call away from 24 hour concierge service. The one car garage and the driveway offer off street parking for vehicles. Park your car during your stay and use the free shuttle which stops 100 feet from our front door. The shuttle provides free service to the mountain village, meadow village, and to the slopes. Or you can drive over to ski and in less than five minutes you are parking at the base of the slopes. You will be treated to all new appliances as well as new washer and dryer in the unit for your convenience. All new furniture will make your stay special. When skiing Big Sky, you will have access to as much as 5,500 acres of ski terrain and 4,350 feet of vertical drop if you purchase the lone peak pass. Every possible variety of skiing condition is available on the mountain. Big Sky is known for it's lack of lift lines. You can truly ski all day long. If you are interested in cross country skiing, Lone mountain ranch is just five minutes away. One of the best nordic skiing areas in the country. If you do not ski or come in the summer, you have access to blue ribbon trout streams, hiking, white water rafting, golfing, kayaking, and shopping. Day trips to Yellowstone Park are easy because we are 40 miles from West Yellowstone. Gallatin airfield is the best. 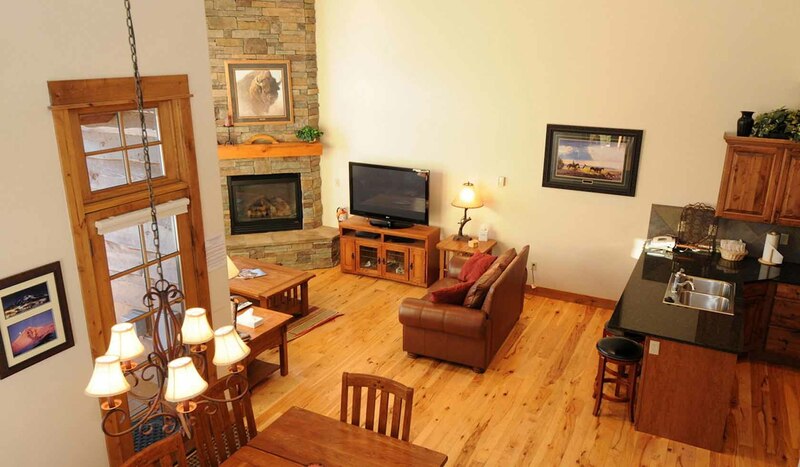 It is an easy access airport and just 60 minutes from Big Sky. We are a new rental and are eager to accommodate. No reasonable offer denied. Rates and lengths of stay are negotiable. 10% lodging tax, cleaning fee, and security deposit apply.